Hi Everyone – Just wanted to drop a quick line to let you know to expect a number of Brewers Alumni updates here shortly. 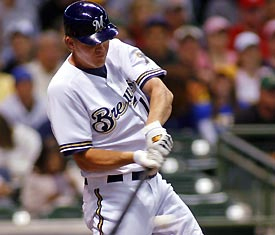 Continue to send me questions regarding former Brewers and I’ll continue to track down the answers! Why doesn’t Ned put Corey Hart in the lead off spot? One of the reasons Corey is not in the lead off position is that he is driving in runs batting from the 5th spot. Corey is one of those players that can fit anywhere in the lineup. Rickie, despite his .208 average, has a respectable .338 on base percentage. He does find a way to get on base. Corey has a higher on base percentage .358, but like I said, he is driving in runs hitting behind Prince. With Ryan Braun in left field, what will happen to Matt LaPorta when he is ready for the Major Leagues? Although Matt LaPorta seems to be on the fast track to the Major Leagues, he is in his first full season of professional baseball. 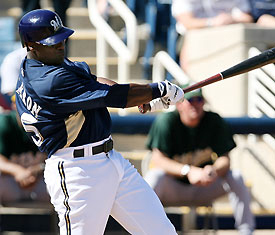 He will more than likely spend a full season in Huntsville where he is hitting .296, 11 HR, 41 RBI. He is playing right field and has been playing some first base. It is a good situation for the Brewers and who knows what will happen two years from now; one thing is for sure, the Brewers have some very good talent in Huntsville. 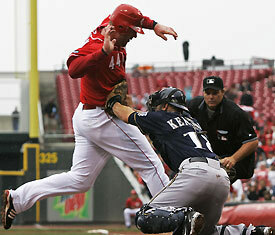 Besides LaPorta, Third baseman Mat Gamel is hitting 367, 10 HR, 40 RBI in 46 games. Centerfielder Michael Brantley is hitting .321, 15 SB in 44 games. Shortstop Alcides Escobar is hitting .294 with 9 SB in 45 games. 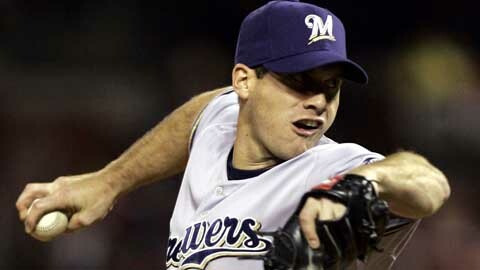 Whatever happened to RHP Mark Rogers, a number 1 pick for the Brewers in 2004? 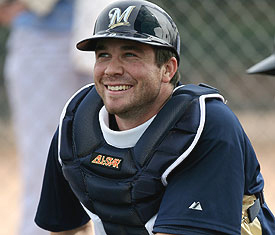 Mark Rogers missed the entire 2007 season due to surgery on his right shoulder. He is currently rehabbing in Arizona with our Arizona Rookie League Team. The Brewers are taking it slow with him; in 2005, Baseball America rated him as having the best fastball in the organization. They also rated Mark to have the best slider in the organization. In 2005, he struck out 109 batters in 98.2 innings. In 2006, in 71 innings, he struck out 96. 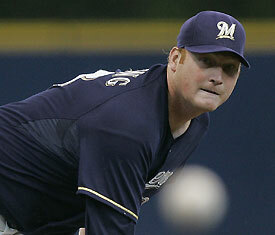 Hopefully, he will stay healthy and if so, the Brewers feel confident he will pitch someday in the Major Leagues. What is the outlook for Vinny Rottino? Will he be brought up this year? Vinny Rottino is playing at Triple A Nashville, where he is catching and is doing much better. His catching has improved and he is starting to swing the bat a lot better. Unless there is an injury, he will more than likely stay in Nashville and may get a September call up. Vinny is a very versatile player; he needs to continue to improve his catching and if that happens, he will have a chance to play with a Major League Team; hopefully it will be with the Brewers. Keep sending in your questions everyone – I’ll keep answering them! 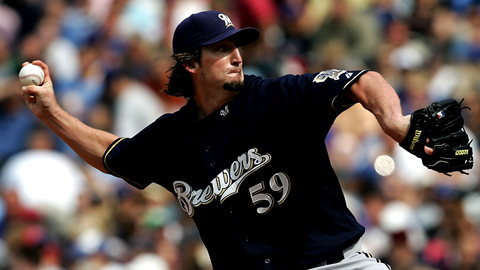 Do you think the Brewers will need to trade for a quality starter with the injury to Gallardo? 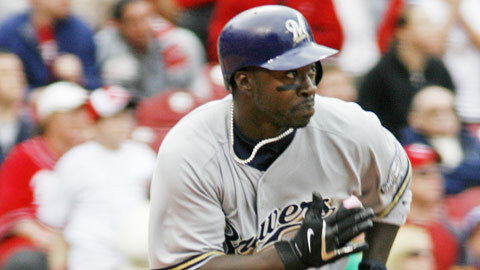 I don’t think the Brewers will do anything as far as a trade just yet. A lot depends on what Dave Bush will do now that he is back and will replace Gallardo in the rotation. Also the progress of both Carlos Villanueva and Manny Parra will have a lot say if the Brewers will try to trade for a quality starter. All three, Bush, Villanueva & Parra will have to start pitching better if the Brewers are to contend in the NL Central. Obviously, the injury to Gallardo hurts and everyone will have to step it up a notch. Why are so many players using Maple instead of ash? Talking to a Louisville Slugger representative, it seems that Maple is heavier, harder and denser than Ash. Players are going with bigger barrels and smaller handles; that is why you will see the Maple break a lot around the handle. Ash on the other hand has grains and you will see them splinter more instead of breaking off. If a player orders Maple, the equipment manager will probably order him 18 Maple and if he orders Ash, he would probably order 12. Right now it seems like a novelty and the “in thing” in bats. Do you see Mike Cameron batting better than his career average this year? Starting the 2008 season, Mike Cameron has a lifetime Major League average of .251; I think Mike will be above his lifetime average but not by much. 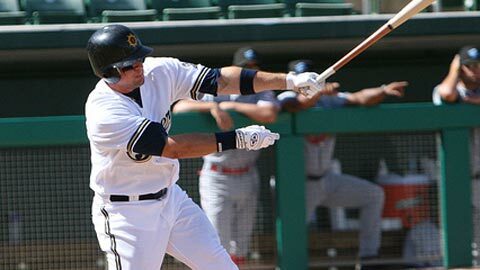 He had a .268 in 141 games with San Diego in 2006. Last year in a 151 games with San Diego, he hit .242. In 2005 Mike hit .273 in 76 games with the Mets. His season was shortened due to an injury. The one thing about Mike is the fact he’s very durable and will get to the plate over 500 times. 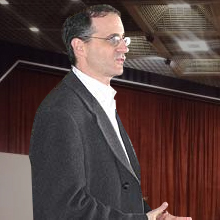 Why not use Dave Bush as a close or in middle relief? Since the injury to Yovani Gallardo, Dave Bush will step into Yovani’s spot in the rotation. Dave has a very good and resilient arm. He could be used in several ways if he was in the bullpen, including closing some games. 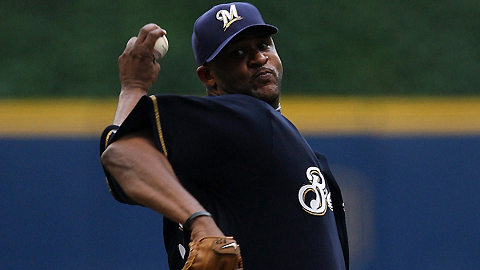 The Brewers feel he best suits their needs as a starter in their rotation. they all set for the opener against the Cubs on March 31st? starting catcher with Mike Rivera for the backup position. back in the rotation by mid April. bullpen or back to Triple A.
set. Craig Counsell and Joe Dillon will be on the bench as the utility players. infielder has been used in the outfield. act and will be missed both on the field and in the clubhouse. injury and feels once healed he can help a team out.